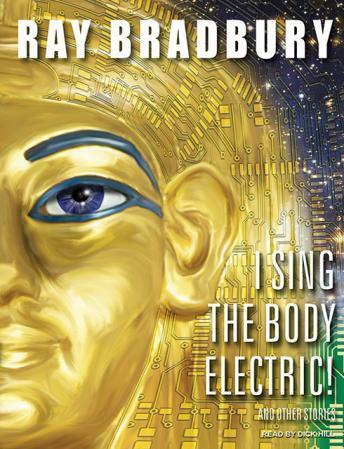 The mind of Ray Bradbury is a wonder-filled carnival of delight and terror that stretches from the verdant Irish countryside to the coldest reaches of outer space. Yet all his work is united by one common thread: a vivid and profound understanding of the vast set of emotions that bring strength and mythic resonance to our frail species. Bradbury characters may find themselves anywhere and anywhen. A horrified mother may give birth to a strange blue pyramid. A man may take Abraham Lincoln out of the grave-and meet another who puts him back. An amazing Electrical Grandmother may come to live with a grieving family. An old parrot may have learned over long evenings to imitate the voice of Ernest Hemingway, and become the last link to the last link to the great man. A priest on Mars may confront his fondest dream: to meet the Messiah. Each of these magnificent creations has something to tell us about our own humanity-and all of their fates await you in this collection of twenty-eight classic Bradbury stories and one luscious poem. Travel on an unpredictable and unforgettable literary journey, safe in the hands of the century's great man of imagination.